Why West Virginia Histories instead of History? Because these books are not a history of the Mountain State; they examine moments from that history, ranging from the time when West Virginia was still the western part of Virginia through the 1960s, the decade that marked 100 years of statehood independent from Mama Virginia. Most of the articles originally appeared as “Once, Long Ago,” my column that ran each Sunday in the Clarksburg Exponent Telegram newspaper, March 1998–November 2014. Drawn from old newspapers, county histories, out-of-print books and other sources, most stories cover forgotten or little-known events such as the Lincoln County farm wives’ fraud ring or why the town of Alderson has a leash law for lions. Each book is indexed and contains 100 articles including updates, additional material and never-before-published articles, separated into themes. Click on the titles below to see complete tables of contents and read excerpts from both volumes. 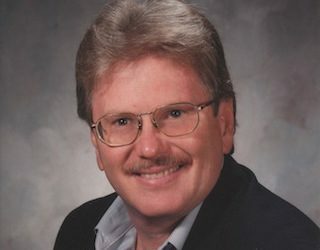 Swick writes with accuracy and humor and his unique and quirky style makes reading his work an easy pleasure. Volume 1: Unique People, Unusual Events, and the Occasional Ghost. 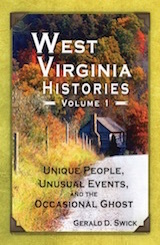 An introduction to and sampler of the West Virginia Histories series, with representative articles from each of the series’ themes. Gerald D. Swick makes history fun. 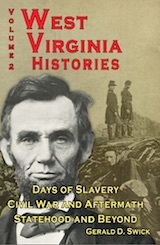 Volume 2: Days of Slavery • Civil War and Aftermath • Statehood and Beyond. West Virginia’s tumultuous, dangerous, and constitutionally questionable road to statehood. Other articles cover the Mountain State’s 50th and 100th anniversary celebrations and an 1878 “sham battle” in Fairmont. The histories are told with a very human viewpoint, and they are not just West Virginia history but they are told so as to lead the reader to think in a wider world view. History buffs, teachers, and anyone looking for a well told story will find something here.